In a Motor Vehicle Accident (MVA)? 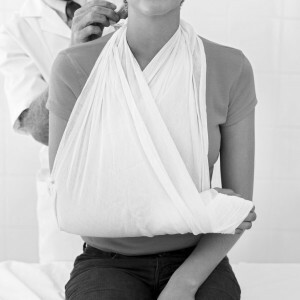 How does an Injury Lawyer help? What does a Personal Injury Lawyer cost? What can I include in my ICBC claim? ICBC settlement: How long does it take? Are there limits to what I can include in my ICBC claim? A sum of money for pain and suffering. This is determined based on the nature and severity of your injury and calculated based on a comparison of what has been paid out in other cases similar to yours. We would calculate this for you. However, for accidents that occur after April 1st, 2019 there have been changes. The current Government changed the law to limit the amount of money payable for certain injuries that they classify as “minor injuries”. Call John to see how this could affect your ICBC claim. Past wage loss which would be any loss of wages from the date of the accident to the date of settlement or judgment that were caused by your injury from the accident. Future wage loss or loss of capacity which would be any wage loss or loss of your ability to work in the future after your claim has been resolved. Reimbursement for medical care, treatment and certain other expenses that you have incurred or will incur in the future as a result of your injuries from the auto accident. John Davis focuses on maximizing your ICBC claim to ensure you get the settlement you deserve. Whether your ICBC claim is from a car, motorcycle, bicycle, pedestrian or any other accident where a motor vehicle was involved, John will work hard to make sure each and every detail is covered. He will act on your behalf to have your ICBC claim settled in a timely fashion and in your favour. I’ve been in a Motor Vehicle Accident – What do I do now? When do I hire a lawyer and what does it cost? How long does it take to get my claim get resolved?